Experience the world from a position of preparedness in the modern and powerful 2017 Ford Explorer. A member of Canada's Best-Selling Automotive Brand Seven Years In A Row, this vehicle offers you an array of performance and design features that elevate it above the rest. Benefit from the spaciousness of a four-door exterior and an interior seating capacity for up to seven. Available trim levels include the Explorer, XLT, Limited, Sport and Platinum. On the inside of the 2017 Ford Explorer, you are given a driver-centered design where every last detail has been intentionally placed for easy-access. The available Active Noise Reduction generates a calm and smooth environment as you sit back in satisfaction through the available dual-zone electronic automatic temperature control and its ability to maintain two different front temperatures at the same time. Keep your hands on the available heated and leather-wrapped steering wheel with its lasting refinement as the mounted audio, 5-way, and cruise controls provide you with access to your settings without distracting you from the road. 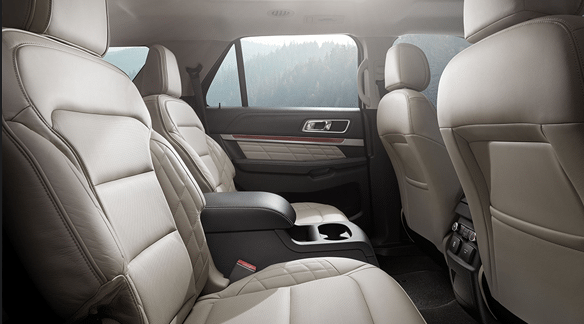 Comfort is enhanced thanks to the available perforated leather-trimmed climate-controlled front bucket seats, surrounding you and your front passenger with comfort and support at all times. Open up to the world above with the available twin-panel moonroof where fresh air and natural light become common companions. On the outside of the 2017 Ford Explorer, you are given a bold identity on the road with remarkable durability and precise control. The Unique grille with a Satin Chrome Finish elevates the design as you benefit from the increased aerodynamics of the smooth body structure and body-colour liftgate spoiler. Bring along an abundance of cargo with the additional space of the roof rack. Convenience comes forward with the available foot-activated hands-free power liftgate, allowing you to access your rear cargo space without the use of your hands for easy loading. Visibility is enhanced with the automatic LED low-beam headlights, daytime running lights, fog lights and LED taillights and you increase your ability to see and be seen in a variety of weather conditions. Advanced communications are found with every detail of the modern and innovative 2017 Ford Explorer. You are offered the advanced technology of the available SYNC 3 system, featuring MyFord Touch for hands-free access to your smartphone devices thanks to Bluetooth capability. Make calls, send messages and stream music, all without distraction from the road ahead, as well as engage with the available navigation system for turn-by-turn directions to a multitude of destinations and points of interest. Because every driver comes with their own unique set of preferences and requirements, so does every 2017 Ford Explorer. Select from a long list of Ford Original Parts and Accessories to elevate your interior and exterior to reflect your persona style. Exterior enhancements such as a rear silver fascia, side window deflectors or hood deflectors, increase your style and protection as you drive with lasting confidence. Boost interior protection with the floor liners, and seat covers as you keep your belongings organized and secure with the cargo boxes, cargo racks and carriers and cargo nets. Bring it all to the table in the 2017 Ford Explorer as you deliver outstanding power and capability. Smooth responsiveness and assertive control is yours to enjoy with the 6-speed SelectShift automatic transmission, featuring available mounted paddle shifters for advanced precision. Refine your handling with the help of the Electronic Power Assist Steering (EPAS) as the Terrain Management System and available Intelligent 4WD System promote capability and allow you to explore without limitations. 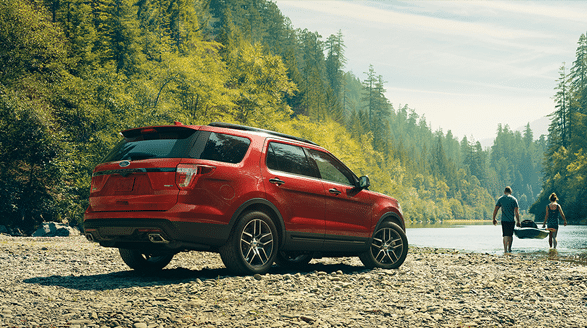 Standing proud, the 2017 Ford Explorer accepts to following awards. Detailed innovation and impressive power come together with every aspect of the 2017 Ford Explorer. Modern refinements are found inside and out and you tap into the motivation that comes with lasting durability and advanced quality. 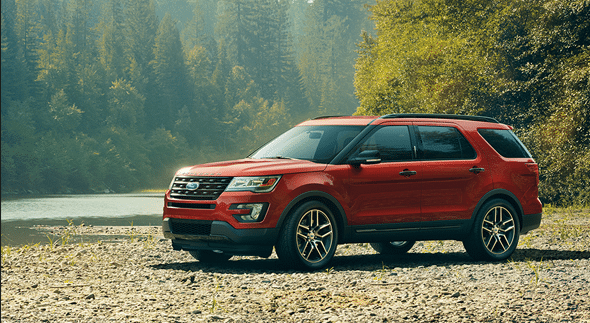 Come check out the 2017 Ford Explorer at your local Ford Dealer – Watkin Motors Ford today, as we provide you with outstanding customer service and years of experience and knowledge. Watkin Motors Ford is located at 4602 27 Street in Vernon, BC come in today and test drive the 2017 Ford Explorer.